Dealing with increasing prescription costs for medication is an issue for many. I know my personal monthly costs have been rising over the years. I wanted to let you know about a very interesting company PillPack.com. PillPack is now an Amazon-owned company. Walmart was hot and heavy to purchase them as well but lost out. Amazon is slowly getting into the online prescription business and wants to apply economies of scale to drive down prescription medicine prices. All I can tell you for certain is my prescription costs using PillPack have been substantially cut and the helpfulness of the PillPack packaging is awesome. 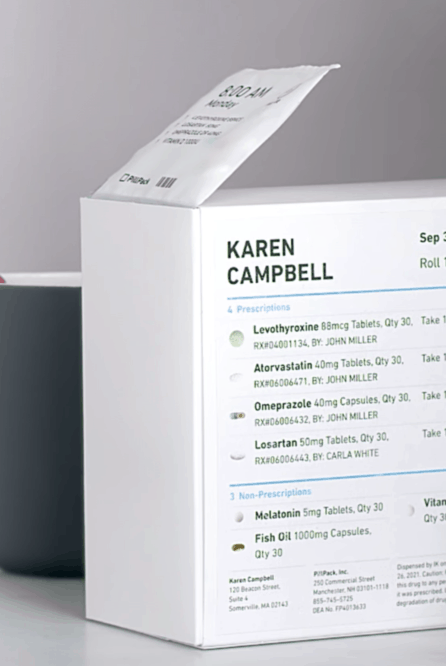 You can have both prescription and non-prescription pills in your PillPack subscription. You can see an example of that in the sample image below. 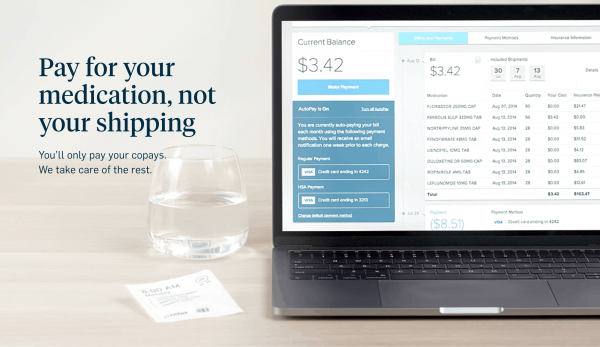 PillPack sends you the lower costs medications with no shipping costs. More of a benefit at no cost to you. They deal with your insurance company and all you have to pay each month is just the copay. Overall I’m personally very happy with the cost savings and the way the medications arrive. The fact that the pills are now in one pouch for the day and/or time you have to take them makes it amazingly easy when you travel. Just rip off the packets you’ll need while you are gone.